Transmission electron microscopes (TEM) are widely used in nanotechnology research. 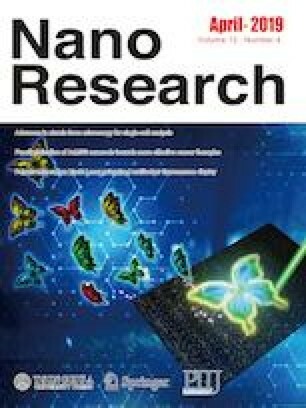 However, it is still challenging to characterize nanoscale objects; their small size coupled with dynamical diffraction makes interpreting real- or reciprocal-space data difficult. Scanning precession electron diffraction ((S)PED) represents an invaluable contribution, reducing the dynamical contributions to the diffraction pattern at high spatial resolution. 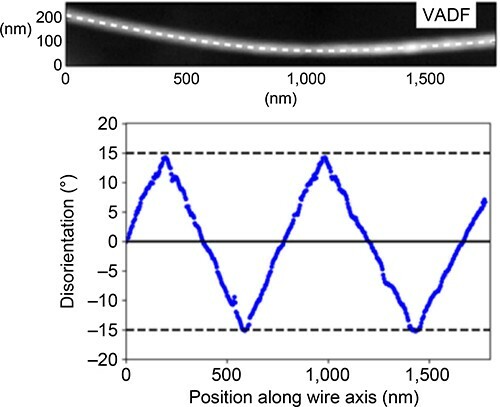 Here a detailed analysis of wurtzite InP nanowires (30–40 nm in diameter) containing a screw dislocation and an associated wire lattice torsion is presented. It has been possible to characterize the dislocation with great detail (Burgers and line vector, handedness). Through careful measurement of the strain field and comparison with dynamical electron diffraction simulations, this was found to be compatible with a Burgers vector modulus equal to one hexagonal lattice cell parameter despite the observed crystal rotation rate being larger (ca. 20%) than that predicted by classical elastic theory for the nominal wire diameter. These findings corroborate the importance of the (S)PED technique for characterizing nanoscale materials. Supplementary material (further details of the crystal structure of the wurtzite InP nanowires, determination of nanowire width, determination of the 3D shape of the NW, the effect of the 3D shape of the wire on the image focusing, HSR-PED experiment for well oriented crystals, linear averaging of the misorientation along electron trajectory, Poisson denoising of PED patterns by the Anscombe transformation and videos of the experimental data) is available in the online version of this article at https://doi.org/10.1007/s12274-019-2328-5. We thank Dr Z. Saghi for taking the ADF-STEM images of the twisted wires. D. U. acknowledges financial support from the Brazilian Agencies FAPESP (No. 2014/01045-0) and CNPq (No. 302767/2012-6). A. E. acknowledges funding from the Royal Society. P. A. M. acknowledges financial support from European Research Council through grant 291522-3DIMAGE and the EPSRC grant number EP/R025517/1. M. A. C. acknowledges financial support from FAPESP (Nos. 2013/02300-1 and 2013/10957-0) and CNPq (No. 479486/ 2012-3). L. H. G. T. and P. A. M. acknowledge funding from the European Union Seventh Framework Programme (FP7/2007-2013) under Grant Agreement No. 312483 (ESTEEM2). Supplementary material, approximately 840 KB. Supplementary material, approximately 1.19 MB.